This is a story about a 19th-century wanderer and anthropologist, a book that took shape between the 9th and the 11th centuries, and a bunch of 21st century lawyers and clerics who share their beliefs with the most rigid of the 19th century Victorians. The book we know as the One Thousand and One Nights took shape through accretion, and had many authors over many centuries. Even those who haven’t read the full version of the Kitab Alf Layla wa-Layla, or the Arabian Nights, know many of its stories: the tale of Sinbad the Sailor, the tale of Ali Baba and the Forty Thieves, and many Indians will recognize the animal stories, familiar to us from the Jatakas. It should be the poster child for “multicultural literature”: it draws from medieval Egyptian history, from Indian-influenced Persian folk tales, from Baghdad’s collected history of storytelling, and a variety of other sources. Even today, to read the One Thousand and One Nights is to hear the voices of a hundred storytellers from across the centuries whisper in your year. Recently, a group of Egyptian lawyers who rejoice in the name of Lawyers Without Restrictions asked for a ban on the 1,001 Nights under the recently introduced “hesba laws”. The hesba laws have increasingly been misused, and news reports cite hundreds of cases filed under these laws against writers, film-makers and artists for “promoting apostasy”, “contempt for religion” and as in the case of the demand for the ban on 1,001 Nights, publishing obscene material. The irony of the name of the group is inescapable, but one of the features that distinguishes the censorious is that they lack all humour. It’s not that calls for a ban on the 1,001 Nights are rare or uncommon. School texts and popular retellings of the tales still endorse the bowdlerization that was common among the Victorians, until Richard Burton offered his exhaustive, cheerfully licentious and faithful translation of the Nights. Aside from several countries in the Arab world, the distribution of the Nights was banned in the US for several decades under the infamous Comstock Laws, which made it illegal to send any “obscene, lewd or lascivious” material through the mails. But in effect, what Lawyers Without Restrictions have asked for is that one of the world’s greatest and most profoundly influential story-cycles be banned in one of the countries that nurtured and gave birth to these stories. This is, in essence, a repudiation of Egypt’s own history, enacted by a group of people who’re passing through a phase of conservatism and rigid thinking. The similarity between today’s clerics and lawyers, and the repressive, fear-driven morality of the Victorians who condemned the Nights as Oriental turpitude is stark. In his introduction to what remains the best-known translation of the 1,001 Nights, Richard Burton considers the “turpiloquium” of the manuscript. He defends both the “simple, naïve and child like indecency” that “treats in an unconventionally free and naked manner of subjects and matters which are usually, by common consent, left undescribed”, and the “absolute obscenity, sometimes, but not always, tempered by wit, humour and drollery” of the book. 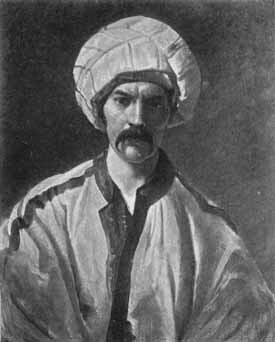 To this Victorian anthropologist and explorer, translating the 1,001 Nights served two purposes. Burton had done the Haj and criss-crossed Africa by the time he attempted the translation, but saw himself as someone who was “not a success”, and at the same time, “had no cause to be ashamed of his failure”. Reading and translating the Nights during what he called his “official banishment” to Western Africa “proved itself a charm, a talisman against ennui and despondency”. A modern psychiatrist might say that he found in the Nights a cure for depression, but that would be only part of the story. In his introduction, and often in the hundreds of footnotes that form a kind of running conversation with the reader of the Burton translation, he makes his passionate engagement with the “Oriental”, Eastern or Islamic world very apparent. These volumes were, for him, “a cargo of Moslem learning”, and previous translators had done the Nights a great disservice by watering them down. Burton proposed to provide nothing less than “a full, complete, unvarnished, uncastrated copy of the great original”. This was one means of “dispelling England’s ignorance concerning the Eastern races”, of revealing the full glories and complexity of the “medieval Moslem mind”. But perhaps the most ironical of Burton’s statements was a passing observation: “What is offensive in England is not so in Egypt.” By asking for a ban on the 1,001 Nights, Egypt’s hardliners could have given no better indication of how far they have departed from their country’s history of inclusiveness, tolerance and openness.